Для русскоговорящих читателей: доступна русскоязычная версия этого обзора. Dell P2415Q is a second-generation 23.8-inch IPS-based modern computer monitor with 4K Ultra HD (3840×2160) resolution. There is also the functionally similar 27-inch model P2715Q. This review contains details on the monitor specifics and personal impressions of the author based on its use since March 2015. The review is being updated and extended as new data are obtained during using the monitor. If you haven’t found an answer to your question in the review, feel free to ask in comments. Unlike the 2014’s UP2414Q model, the new P2415Q model supports full refresh rate of 60 Hz via DisplayPort interface without using the MST mode. Thanks to this, GPU-powered scaling of signal with resolution different from native monitor resolution does work — this was impossible with UP2414Q. So, as expected based on the leaked user manual, the P2415Q monitor uses the SST mode to trasfer data. The MST mode in this monitor is used as intended — for daisy-chaining of two 4K monitors operating at half refresh rate of 30 Hz. For daisy-chaining, the monitor is equipped not just with DP input (to connect a computer), but also with DP output (to connect a second 4K monitor to the first one). Pulse-width modulation (PWM) for controlling brightness is either not used at all, or works at a very high rate which is multiple times higher than conventional 200-300 Hz. With a photocamera according to TFT Central’s method, using PWM is not detectable. Crystal inversion: image is perceived as much more stable compared with NEC 20WGX², “fussing around” flickering is much less noticeable — most likely it is largely thanks to smaller pixel and resulting partial compensation of flickering of nearby pixels. There is no noticeable “crystallic” effect (somewhat “chatoyments” during moving eyes across the screen or changing viewing angle). Color reproduction is good (gradients are smooth, photos look great), but it is interfered by heavy Glow effect (similar to the low-end E-IPS-based FHD monitor Dell S2240L): when looking at the display at a nonperpendicular angle, display is as if it was covered by a gradient gray dimout especially noticeable with dark images. Moreover, for the effect to appear, it is even not necessary to look at a nonperpendicular angle — left and right sides of the wide screen are anyway at a noticeable angle, even if screen center is placed exactly in front of the user. IPS monitor NEC 20WGX² did not have this. If a monitor with so heavy Glow effect had a regular resolution like Full HD, it would probably not be interesting, but for the sake of that high resolution, the Glow effect can be temporarily (until more quality and reasonably priced LCD or OLED monitors hit the market) tolerated. When using DisplayPort interface, full chroma subsampling 4:4:4 is used, i. e. each pixel has an individual color unlike, for example, 4:2:0 where color is the same for each pair of pixels. There are no “dead” pixels. There are neither color non-uniformity nor dust spots reported by some users on Amazon and some forums. Sides of the LCD display are sagged inward monitor when slightly pressed. Several leftmost and rightmost pixels are progressively get invisible when looking to the screen at an increasing nonperpendicular angle — like if corresponding parts of the screen were slightly curved towards from user (leftmost pixels are affected more heavily than rightmost). Maybe this is backlit specifics: for example, the backlit is placed at some distance from the LCD layer, and light-emitting elements are placed exactly along the perimeter of the visible part of screen without a reserve, so, at nonperpendicular angles, there is probably just physically no backlit behind the disappearing pixels. The author did not encounter this drawback of LCD monitors before. The monitor supports proportional hardware scaling of resolutions different from the native display resolution — to enable this, choose the “Auto Resize” item in “Display” → “Aspect Ratio” in the monitor’s menu. At that, quality of the monitor’s built-in scaling is much higher in terms of image clarity than scaling with an nVidia GPU (GeForce GTX 650 Ti Boost). Unfortunately, bicubic or bilinear interpolation is used regardless of signal resolution (and regardless of whether scaling is done by monitor or GPU), so even if physical monitor resolution (3840×2160) divides evenly by signal resolution (e. g. 1920×1080), resulting image is anyway slightly blurred, though could be perfectly sharp if pixels were just duplicated: for example, 1920×1080 resolution may be output to 3840×2160 display with absolutely no blur by mapping each logical pixel to 4 (2×2) physical pixels displaying exactly the same color. Nonblurry scaling (by pixel duplication) is achieved by displaying the screenshot with the XnView viewer that provides the feature. Fortunately, support of scaling via GPU thanks to that the monitor uses SST mode makes it possible that, in future, scaling by pixel duplication may be implemented on level of graphics-card driver — a corresponding proposal is already sent to nVidia; there are also topics at official forums of GeForce and AMD. Update: On June 8, 2016 (a year after the topic has been created), a long-awaited comment by an official nVidia’s representative has been posted; the comment says that nVidia developers are considering implementing non-blurry scaling in their graphics driver. Update ( 2017-04-05 ): Consider signing the petition at Change.org to help show the demand for nonblurry scaling via graphics driver. See also the author’s article “Nonblurry integer-ratio scaling” that describes the issue and existing partial solutions. Update ( 2019-01-19 ): The free author’s utility IntegerScaler allows to use integer-ratio scaling with no blur with games that support windowed mode. But some programs either get small (e. g. the Steam client) or all elements of the window are placed inadequately being partially covered by each other (for example, Omea Reader Pro 2). Text in applications scaled by DPI virtualization (which Windows applies automatically to applications that do not formally support HiDPI) looks approximately as blurry as on CRT monitors. Some applications are formally DPI-aware, but in fact, are rendered without accounting for real pixel density and therefore look very small (for example, ESET NOD32 Antivirus 8 and control panel of the ESI Juli@ sound card in the driver of version 1.18). In some (many?) applications that work correctly in general after enabling HiDPI mode by disabling scaling, areas intended to drag-and-drop do not account for current pixel density, resulting in that at system scale (zoom) set to 200%, it is harder to hit such area since it is twice narrower than at 100% scale. It is interesting that even the proprietary Dell Display Manager application for the monitor actually supports HiDPI, but formally not, so is blurry by default. And even Windows built-in dialer “Windows\System32\rasautou.exe” is also blurry by default. Update ( 2017-02-01 ): HiDPI-related capabilities are significantly improved in Windows 10. In web browser, in layouts not adapted for high-pixel-density modes, raster (pixel) images are always scaled using bicubic or bilinear interpolation, so they are blurry even if originally perfectly aligned to pixel grid and looked perfectly sharp at system scale of 100%. Vector images look very sharp, and, at arbitrary pixel density, using them gets especially essential. Update: disabling unreasonable blur of raster images on web pages in most cases is the purpose of the author’s extension SmartUpscale for Firefox browser. In Windows 7, when 200% scale (zoom) is chosen, there is an unpleasant bug — search field in Explorer window gets very wide while location bar gets very narrow, and it is impossible to change their sizes (maximum observed system scale that search field in Windows 7 is still resizable at is 188%). Windows 10 is not affected by this bug. Update: the free author’s program ExplorerHiDpiFix allows to work around this bug of Windows 7’s Explorer. Also, mouse cursors become slightly distorted because Windows 7 does not have built-in cursors for 200% scale (it seems cursors for 150% are used in conjunction with scaling them using the simplest “nearest neighbour” algorithm). A workaround is, for example, to borrow cursor files from a preview version of Windows 10. To apply a scale in Windows 7, it is necessary to log-off and then log-on again. In Windows 10 (at least starting from the build 10074), scale applies immediately, the system then notifies the user that it is recommended to log-off/log-on for applications to work best, while applications that are already running and do not support per-monitor DPI are scaled as raster images. In Ubuntu Linux (e. g. versions 14.10 and 15.04), scale is applied immediately and does not require system reboot or log-off/log-on. Firefox browser in Ubuntu does not recognize high pixel density. A workaround is to use a corresponding scale coefficient (for 200% scale — 2) as a value of the layout.css.devPixelsPerPx parameter on the page of hidden settings available via pseudo-URL about:config. After that, it is recommended to restart the browser, otherwise main (“multi-zone”) dropdown menu of the Australis interface used starting from Firefox 29 looks incorrectly. Maximum resolution available in Ubuntu for the Dell P2415Q monitor is somehow limited to 2560×1440. The author has not managed to switch to full 4K resolution in Ubuntu (tested in versions 14.04, 14.10, and 15.04). Virtualization environment VMware Player does not perform scaling of virtual screen, so working with virtual machines based on OS that do not support full-fledged scaling (e. g. Windows XP) gets complicated due to that contents of virtual screen render very small. Also, maximum resolution available in VMware Player is just 2560×1920. Unlike VMware Player, virtualization environment VirtualBox does support scaling virtual-machine screen (“Display → Scale Factor” in settings of virtual machine). Some games do not support 4K resolution. 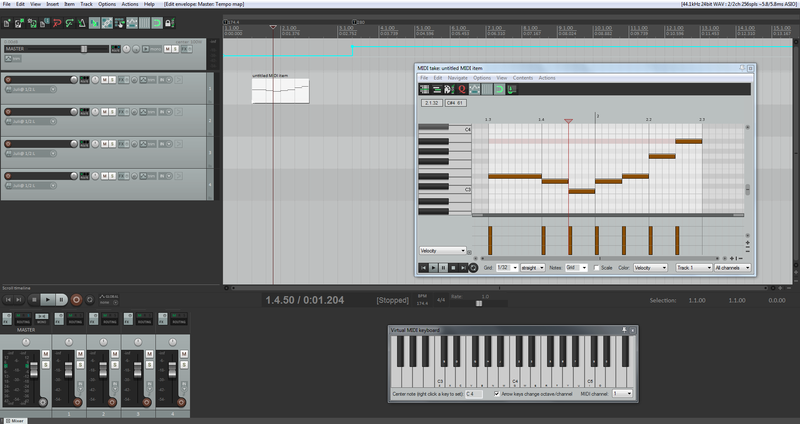 Some games (e. g. “Urban Trial Freestyle”) “kick” user to desktop, while continuing to play game audio in background. However it is impossible to switch to the game as an application anymore, so user is forced to close the game forcedly via Task Manager. In some games that are entirely 3D by nature and, in theory, support arbitrarily high resolution, there is just no 4K resolution in the list of resolutions available in the game (e. g. maximum resolution available in “Giana Sisters: Twisted Dreams - Rise of the Owlverlord” is 2560×1440; update: at 2016-03-15, the issue in the game looks like fixed, or this depends on version of graphics driver). Some games (e. g. “Mortal Kombat Komplete Edition”) are formally not DPI-aware applications, and 4K resolution is available in them only if DPI-virtualization scaling is disabled in properties of the executable file. Some games (e. g. “Duck Tales Remastered”) work in a fixed low resolution (e. g. 1280×720 or 1920×1080) regardless of resolution chosen in game settings and always look blurry. Also, when “Duck Tales Remastered” is running, Windows taskbar is still visible (update: looks like this depends of graphics-driver version). For some games (e. g. “Burnout Paradise”), whether they work correctly in 4K resolution depends on graphics-card driver: with one version of nVidia driver (347.88), the game crashes when started in 4K resolution with antialiasing enabled, but works fine with antialiasing disabled, while with more recent driver version (350.12+) — works fine with antialiasing enabled. Some games support 4K resolution in general, but some their parts work incorrectly. For example, in conundrum sublevels like “Hack enemy network” in the “Bionic Commando Rearmed” game, the only visible thing is the cube skeleton, while conundrum elements inside it are invisible. A workaround for this issue is to temporarily change resolution to a lower one like 2560×1440. Examples of games that have no problems with 4K: GRID Autosport, Projects CARS, DiRT 3 Complete Edition, DiRT 2, nail'd, Trackmania 2 Stadium, Test Drive: Ferrari Racing Legends, Rayman Legends, Trine, Trine Enchanted Edition, Trine 2, Castle of Illusion, Sonic Generations, Syder Arcade, Tomb Raider: Anniversary, Oddworld: New ’n’ Tasty, Pool Nation, Mirror’s Edge. “Burnout Paradise”, “Need for Speed Hot Pursuit” (2010) and “Driver: San Francisco” work almost perfectly with maximum quality settings at a stable frame rate close to 60 fps. Some people state that antialiasing is unneeded at 4K resolution. This is only partially true. 4K resolution is of course high, but not that high. 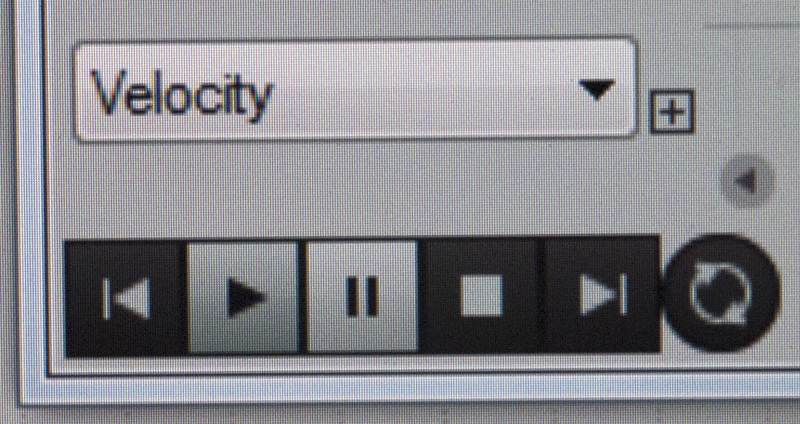 On static images, it is indeed possible not to see aliasing. But constantly flickering patterning of small, slowly-moving objects (for example, spectators on distant stands) in games like GRID Autosport with antialiasing disabled is very noticeable and will most likely be noticeable even on 8K monitors of a similar size. That said, 4K with no antialiasing typically looks better than Full HD with antialiasing. Unfortunately, quality of recording video using nVidia ShadowPlay for graphics cards older than GTX 980/970 is limited to 2560×1440 resolution at frame rate of 30 fps, even if chosen ShadowPlay settings are In-game resolution at 60 fps. As a result, if, for example, a TV is connected to the graphics card via HDMI, then up to finishing of Windows boot, signal is output not to the DP output, but to the HDMI output — even when HDMI-connected TV is turned off except for not being off the line. There is no access to BIOS of the graphics card, so there is no a legitimate way to change priorities of outputs. As a result, it is complicated to choose a boot drive and to access CMOS Setup of motherboard. It is probable that a modern UEFI BIOS could provide an ability to manage output priorities (Windows allows this, so UEFI as a small-size OS which is more advanced that regular BIOS could also support this feature), but, according to an opinion that technical support of nVidia exposed during a private chat conversation, UEFI cannot help here. By default, full-size DisplayPort port is chosen as input in the monitor’s settings. And if you have connected the monitor to computer via the bundled DP-mDP cable (mini-DisplayPort — to monitor, DisplayPort — to computer), then you should choose the “mDP” video input manually in the “Input Source” menu in settings of the monitor. The monitor has a built-in USB 3.0 hub that provides 4 ports to connect devices. Unfortunately, three of them a placed on the same panel that contains power jack and video inputs. This panel is pointing downwards, potentially electrically unsafe (power unit of the monitor is built-in, so it has full 220 V linked up with it) and typically intended to be protected by a cover, so these ports are in fact available for fixed connections only. For hot swapping, only one USB 3.0 port is available, it is placed on the backplate of the monitor, perpendicularly to its surface. USB 3.0 ports are black instead of the conventional blue color. This can be confusing for users not familiar with specifications of the specific monitor model. Looks like USB 3.0 hub of Dell P2415Q is incompatible with Etron EJ168 USB 3.0 controllers (in particular, Gigabyte’s motherboards of 2011 were equipped with these): the system cannot start the hub as a device, and even if suddenly (after a computer reboot) starts, then external drive connected to the hub disappears from the system in a few seconds after starting trasferring data. When the hub is connected to a USB 2.0 port implemented on Intel-chipset level, there are no problems, but data-transfer speed is expectedly just about 30 MB/s. It is interesting that when the hub is connected not directly to motherboard, but to another USB 3.0 hub (D-Link DUB-1340), there are no problems too, and external drives work correctly at full speed. Sometimes, the monitor’s USB hub is recognized as an unknown device, and then devices connected to it do not work: power is supplied to USB devices, but they are not visible in the system. This can typically be fixed by turning the monitor off and then on with the button on its case. After “Safely Remove Hardware” action for a USB drive in Windows, power supply to the drive is not off. When the drive is connected directly to computer (Etron EJ168 controller), power supply is not off too, but, for example, if the drive is connected to a D-Link hub, it is off, therefore it depends on implementation specifics, and Dell’s implementation is not capable of it. Once the monitor is turned off, power supply to drives connected to the USB hub is automatically off. Monitor’s buttons are physical that makes it possible, unlike sensor buttons, to find them easily at insufficient light if needed. Pressing any of 4 buttons shows the menu of the monitor. LED in the power button of the monitor lightens by default, but this can be disabled in settings of the monitor: “Energy” → “Power Button LED” → “Off During Active”. In stand-by mode, the LED progressively decreases and increases its brightness repeatedly. Sometimes effective frame rate is decreasing to 30 or even 15 fps that’s perceived as stuttering / jerkiness when moving mouse cursor and scrolling. This happens, for example, after returning from stand-by mode, during starting some applications (e. g. VMware Player), when viewing some sites in web browser or with no apparent reason at all. Extent that the issue takes place to depends of version of graphics driver: while before (e. g. with version 350.12 of nVidia driver) stuttering did take place just sometimes, the issue takes place almost permanently with all new versions of the nVidia driver at least starting from 361.91 — up to complete impossibility to work comfortably. The reason is most likely not the monitor, but insufficient performance of CPU or graphics card or insufficient optimization of nVidia graphics driver for working in 4K resolution under Windows 7.
nVidia driver versions 353.30+ have an issue: once the monitor returns from stand-by mode, screen resolution gets switched to 2560×1440. And this is the maximum resolution available in system settings, so it’s even impossible to switch back to 3840×2160 manually. Only disconnecting the monitor from power is effective against the Unknown-Device issue. The latest version of nVidia driver not affected by the 2560×1440 issue is 353.06 ( 2015-05-31 ). About every several weeks, the monitor does not return from stand-by mode or does not turn on when initially powered on. This is usually solved by turning the monitor off and then on via its Power button, but sometimes it doesn’t help, so full shut-down is required. Serial numbers specified on the monitor and its package (box) are not identical: they have different 2nd (6-character) of 5 hyphen-separated parts. Given that the package has been unpacked by yours truly, we could suppose that manufacturer (Qisda Corporation) has put a wrong monitor into the package, or this has happened on level of packing by the russian distributor (ООО Vektrum-K). 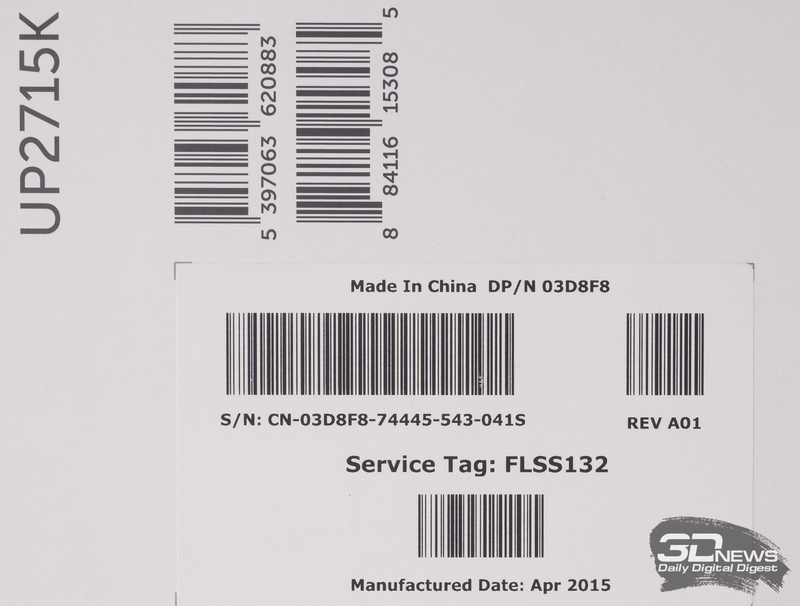 But the so called Service Tag (guarantedly unique for each Dell device) is the same on the monitor and its package. Therefore either different serials on the device and its package are OK in this case, or a wrong serial has been accidentally printed on one of the two factory stickers (either on the package or on the monitor). 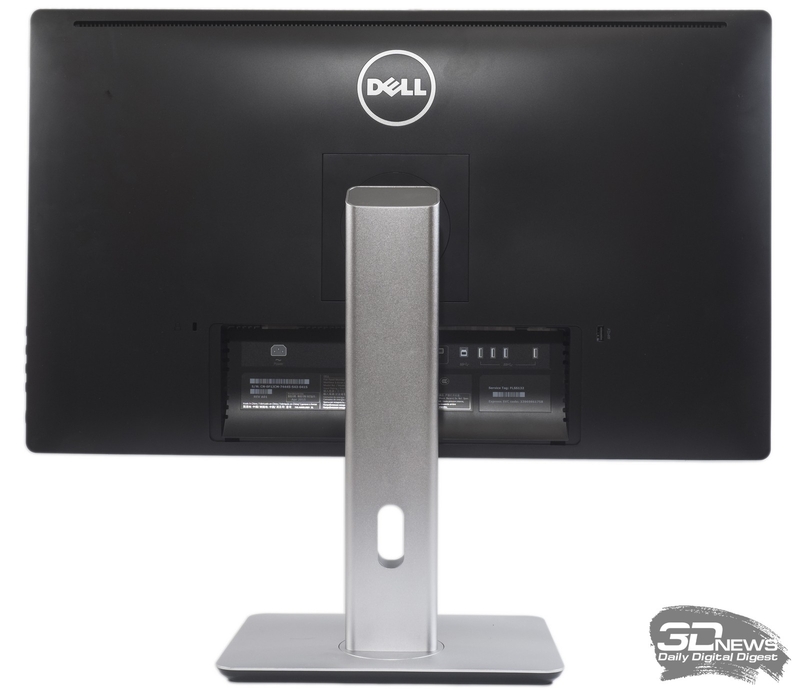 Update ( 2015-09-15 ): Based on photos of another Dell monitor — UP2715K — and its package (1, 2) in a 3DNews review, difference between serial numbers specified on the monitor and its package while having the same Service Tag is perfectly OK for Dell monitors, or at least the case is not individual. The specific monitor unit has been produced by Qisda Corporation in China in October 2014. Revision is A00. Brightness and contrast of the display are controllable with Dell Display Manager application available on the Dell website. Unfortunately, like in a similar NEC NaViSet application intended for NEC monitors, there is no ability to create user presets (for example, with lower brightness — for regular work with text, and with higher brightness — for games and videos), so each time user needs to change brightness or contrast, he is forced to move slider manually to a corresponding position. Fortunately, unlike NEC NaViSet, there is at least ability to fast type-in an exact number value into the text field nearby the slider. However, there is a way to specify parameters via command line, so it is possible to simulate preset feature using several prepared application shortcuts with different sets of command-line parameters. A pleasant feature is that brightness is changed progressively instead of immediately (though not always, and cases when brightness is changed immediately are more often). The monitor has a built-in testing feature: it is enough to power-on the monitor, turn it on with the round button at the bottom right corner of its case, and hold long horizontal buttons 1 and 4 (in top-to-bottom order) for a few seconds. The screen will get gray, and by pressing button 4, it is possible to show basic colors (red, green, blue, and black) on the screen one by one. Thanks to LED backlight, compared with monitors with CCFL-based backlight that noticeably warms face of user (and, by the way, thermal action is a reason of cataract, i. e. lens-form opacity), there is almost no noticeable warming here — at least at brightness level of 18% which seems to be optimal for yours truly (later settle upon a combination of brightness of 10% and contrast of 70%). The monitor supports LCD overdrive (this can be set up in the monitor’s menu “Menu” → “Display” → “Response Time”), this mode is disabled by default, overdrive in this monitor has no noticeable effect in games. The monitor is not affected by any noticeable image-retention effect. Resolutions supported by the monitor: 3840×2160, 2560×1600, 2560×1440, 2048×1536, 2048×1280, 1920×1440, 1920×1200, 1920×1080, 1768×992, 1680×1050, 1600×1200, 1600×1024, 1600×900, 1440×900, 1440×1050, 1366×768, 1360×768, 1280×1024, 1280×960, 1280×800, 1280×768, 1280×720, 1176×664, 1152×864, 1024×768, 800×600. The monitor and its stand comes separated. Their mounting does not require any tools and is done just by latching. The monitor can be released using the button placed under the stand sink on the monitor. An attempt to replace the monitor on a warranty due to the issue of that the monitor sometimes does not quit from stand-by mode was not successfull. The provided replacement monitor came out to be used (refurbished) and defective (whistling), and probability of getting a really new one came out to be close to zero. Details are below. In January 2018, I called to a phone number specified in a document bundled with my monitor, and told that my monitor not always quit from stand-by mode. A Dell employee replied in Russian and asked whether the monitor was affected by the issue from the beginning, then asked for the Service Tag (SrvTag) of the monitor, my visiting address, postal code, and sent to my email a 9-digit number (as it became clear later, it was the identifier of my case). He asked to write the number on a piece of paper and send him a photo where the number was shown together with the monitor’s rear panel containing the service tag. Also, he asked to send him the sales check photographed or scanned. There was no paper at my hand, so I typed-in the number on my cellphone and photographed it against the rear panel of the monitor. Together with the sales check, I also sent the fiscal check just in case. It’s interesting that the email of the Dell employee contained a typo in its part corresponding to his last name, but the email is working — in fact, messages sent to it are received by the recipient. Six days later, at about 14:00, there was a phone call by a courier of the UPS delivery service, he said he has a package “probably from Dell” and will come to me in about 45 minutes. After entering, the man cheerfully put a box in front of me and asked me to undersign on the screen of his electronic device looking similar to a portable cash register. Lines were appearing on the screen with a delay of about half a second, so my sign was somewhat distorted, but it seemed the courier did not care. Also, he asked me to say my last name verbally. The entire process took a minute at most. Naively supposing that the monitor is new and in a complete set, I asked whether it’s allowed to return my monitor in its own box instead of the delivered new one. He said this does not matter. The monitor was packaged in a box that was noticeably bigger than the original Dell box. The monitor came out to be not new, but refurbished that was evident from the corresponding captions on stickers on the box and on the bottom of the monitor’s stand. The box contained only the monitor coupled with the stand which were isolated from the box with transparent amortizing spacers. The spacers were resembling small-size air matrasses. The A02 revision number was sticked on top of the original revision number (obviosly A00). The monitor’s production date is January 2015. The date specified on a box sticker (Date of Label Application) (20-07-2017 in my case) is just a date of sticking the sticker. When testing the provided monitor, I noticed a high-frequency sound similar to whistle or, more likely, to a sound produced by grasshoppers. The sound took place at low brightness, and also when displaying dark images regardless of brightness. My unit produces such sound in stand-by mode (exactly the mode that the monitor not always quits from). A similar sound under similar conditions, as it came out, is produced by my unit, by the sound is much quiter, so I didn’t notice it before. The provided unit had no drawbacks from the image-quality perspective. Since the monitor turned out to be used and defective, I was forced to return it. It is possible that the whistle sound was exactly the reason why the monitor’s previous owner returned it, and the monitor’s firmware was then probably updated to the A02 revision and added to the exchange fleet “as is” (with the whistle sound). Next day, the same courier took the monitor back, now calling at about 12:40 just about 5-10 minutes before the visit. This time he was not as communicable as for the first time: he kept saying “time is expensive” multiple times and did not wish to spend even a few seconds to make sure the box contains the monitor. After seeing the monitor anyway, though with undissembled displeasure and resistance (up to physically pushing my hands off the box), he carelessly stuck the scotch and quickly carried the box to elevator. He did not provide any document as a proof of that he took the monitor back. In reply to my corresponding question, he said that the company anyway sees he came to me, so there is nothing to worry about. A few days later, in reply to my question, a Dell employee said they can’t confirm they received the monitor, but if the monitor did not return, then UPS would already inform the Dell’s security about that, so by default, everything is OK.
As Dell said, the point of warranty service for Dell monitors is solely replacing the monitor entirely. Repair or updating firmware of the monitor originally purchased by the end user is not possible in Dell’s service centers in Russia as well as in any other country. Dell also can’t guarantee replacement to a new monitor or a monitor of a specific revision. Replacement to a monitor of a more recent model potentially free of the corresponding defect is also impossible according to the Dell rules. Replacement to a newer model is impossible even with an additional payment because they are “not a trading company”. I didn’t make another attempt to replace the monitor since according to the Dell employee who handled my case, the probability to receive a really new monitor is very low. Great clarity and invisibility of interpixel grid thanks to high 4K resolution. Crystal inversion is barely noticeable. Good color reproduction thanks to IPS-type display. PWM is not used or has a very high rate. SST: 60 Hz without MST, and ability to scale using GPU. Built-in hardware feature of proportional (aspect-ratio-proof) scaling. Ability to daisy-chain two monitors using a single DisplayPort port of computer. Built-in USB 3.0 hub with 4 ports. Problematic visibility of outermost pixels on each side of the screen. Sometimes the monitor does not return from stand-by mode. 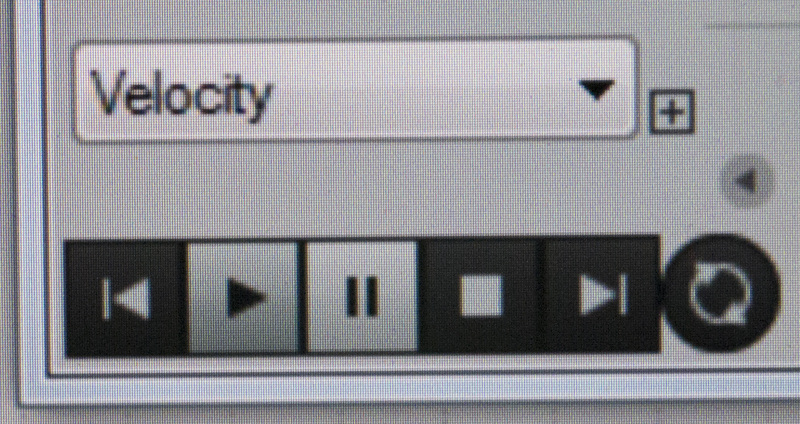 Blur even at integer scaling ratios. 3 of 4 ports of built-in USB 3.0 hub are hard to reach. USB 3.0 hub is incompatible with Etron EJ168 controllers. Turning the monitor off leads to turning-off its USB hub. External drives are not powered-off after “Safely Remove Hardware” action in Windows. Serial numbers specified on the monitor and its package (box) are not identical. Proprietary Dell Display Manager application is blurry by default at system-level scale of 200%. But even relating to LCD monitors, switching to Ultra HD resolution is a really qualitative improvement. And enough maturity of the technology (without using workarounds like MST to achieve full speficications), regardless of some shortcomings of specific models and nuances related to HiDPI support on application level, allows to recommend switching to 4K monitors to all who works much on computer, do value comfort, and preserves his eyesight.